Who hasn’t heard about Adler Planetarium, Shedd Aquarium, and the Field Museum!? Well, to our surprise we discovered many of Adeline’s Sea Moose passengers didn’t realize these most notable museums, all dedicated to the natural sciences, are part of 57-acre park appropriately named Museum Campus. 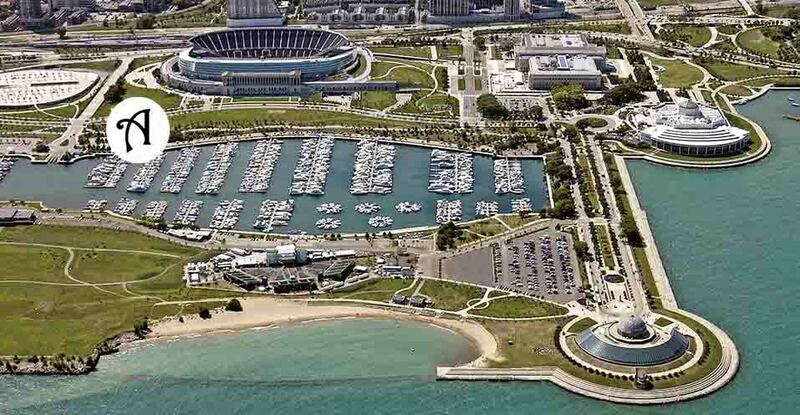 Docked at Burnham Harbor, all the museums, as well as Soldier Field and Northern Island, are a leisurely walking or biking distance from Adeline’s Sea Moose and we always has great ideas how to add what Museum Campus has to offers to your Adeline’s experience.